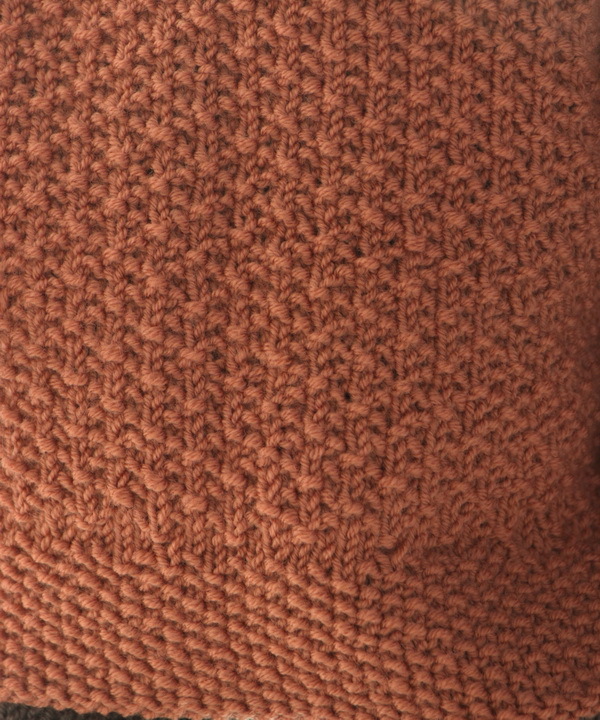 Although winter is coming, we still have some beautiful autumn colors left on the leaves. 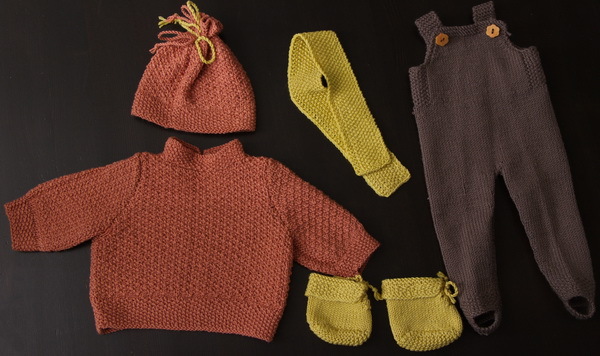 Walking and looking at these lovely colors, I thought I would like to knit a superb outfit in these colors for your doll. 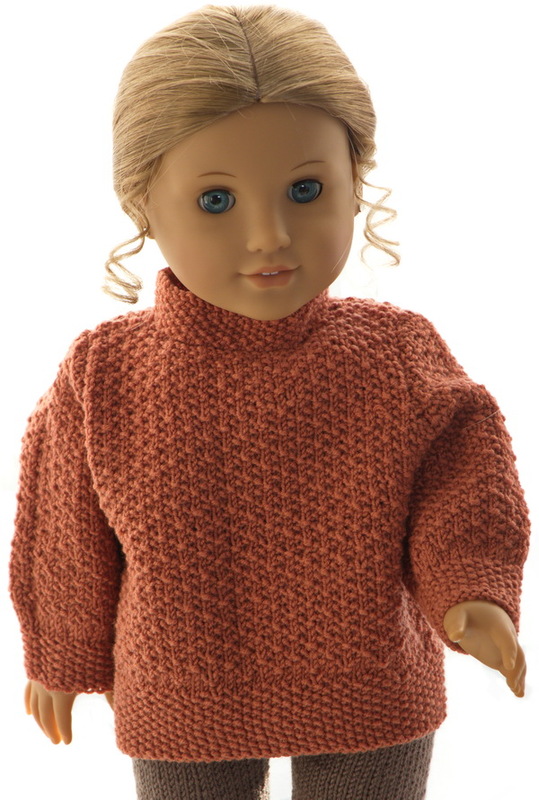 The doll clothes are knitted in soft merino wool from Sandnesgarn. 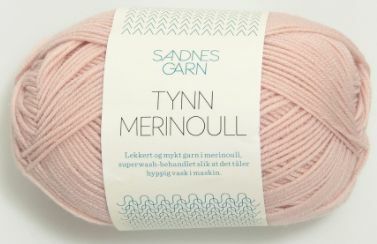 Again, I have used Thin Merino Wool. 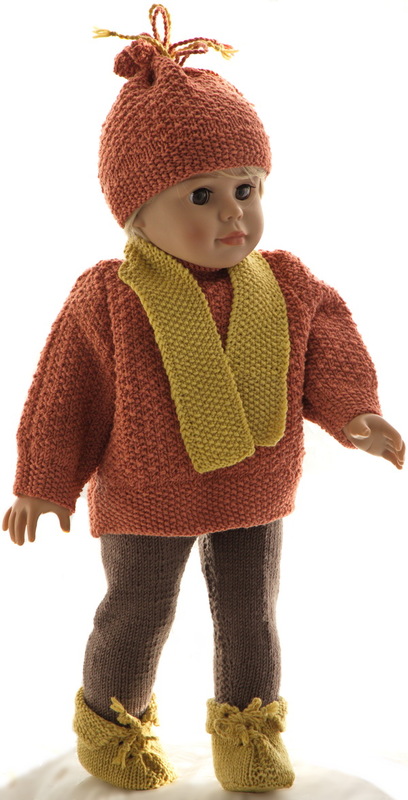 These are always nice clothes knitted in this special yarn. 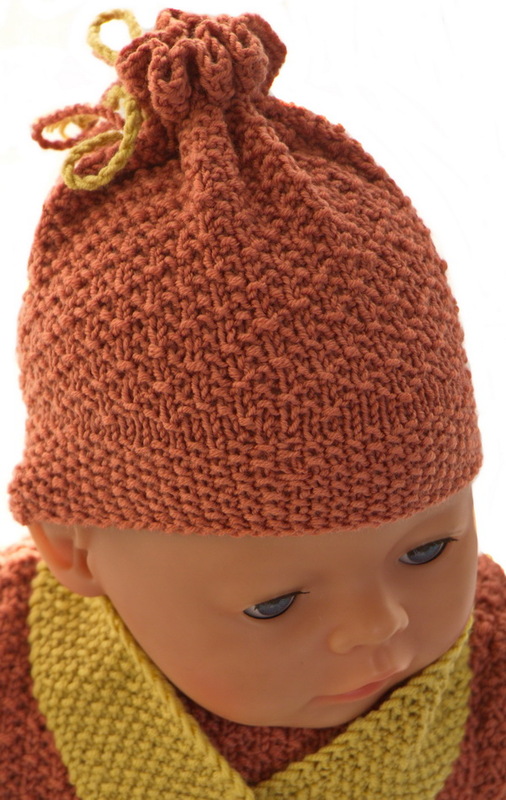 ... with a little square pattern, which we used a lot when my kids were small. 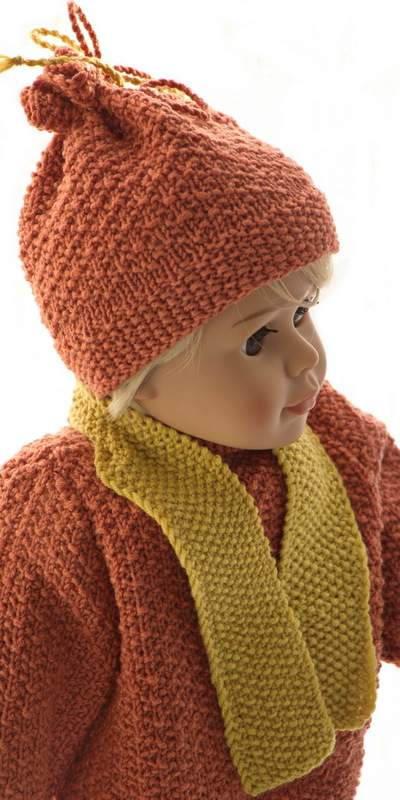 Together with the sweater, your doll will need a lovely warm cap. 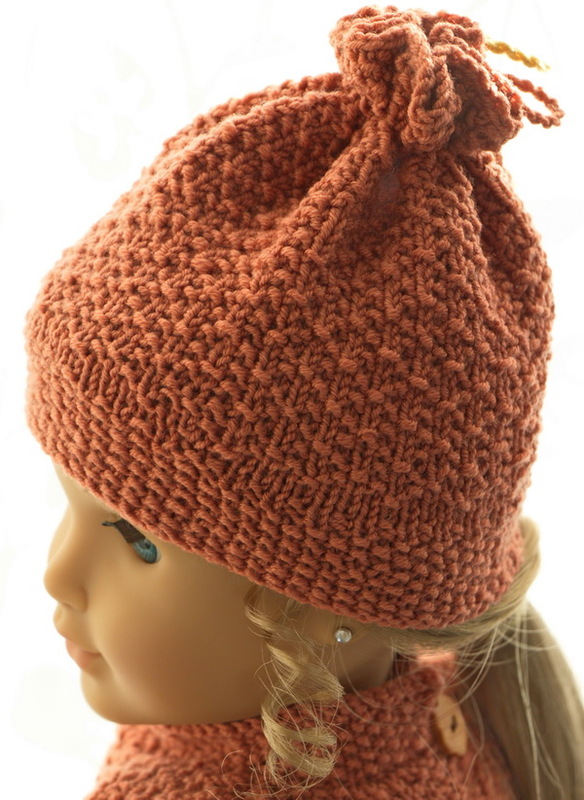 This cap is also knitted in rust with this same little square pattern. 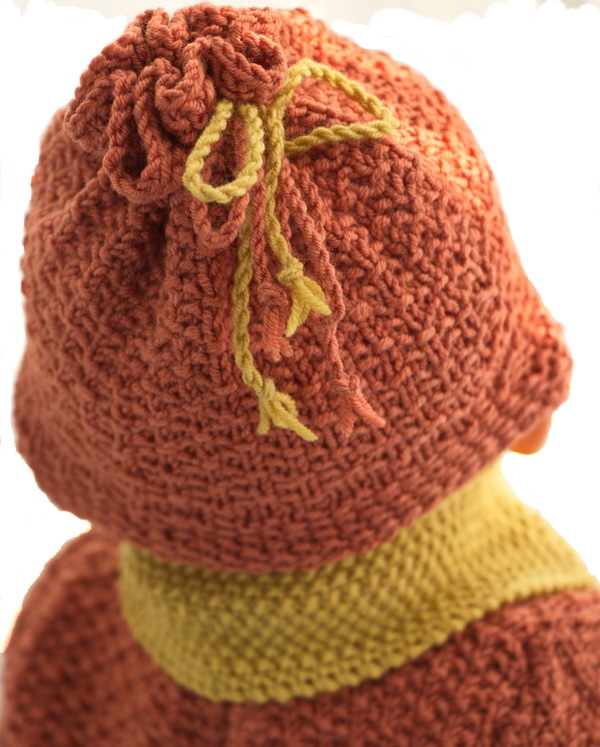 It is kept tog at the top with two chords, one yellow and one rust bound in a bow. 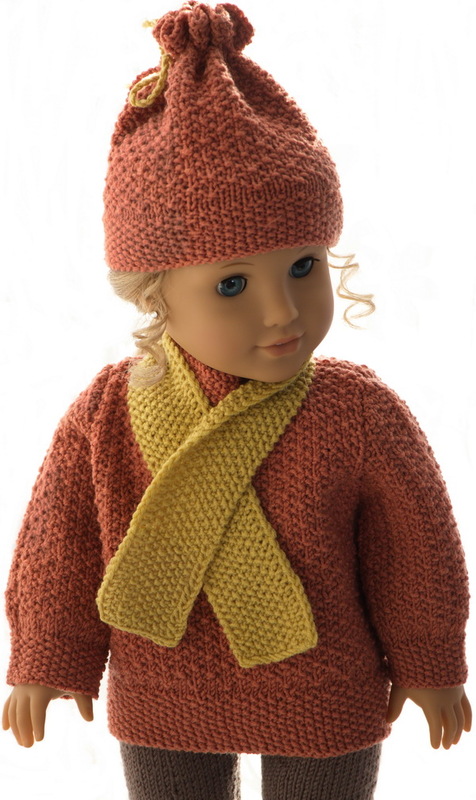 I thought we could add this yellow chord as I have knitted a yellow scarf which belongings to this outfit. 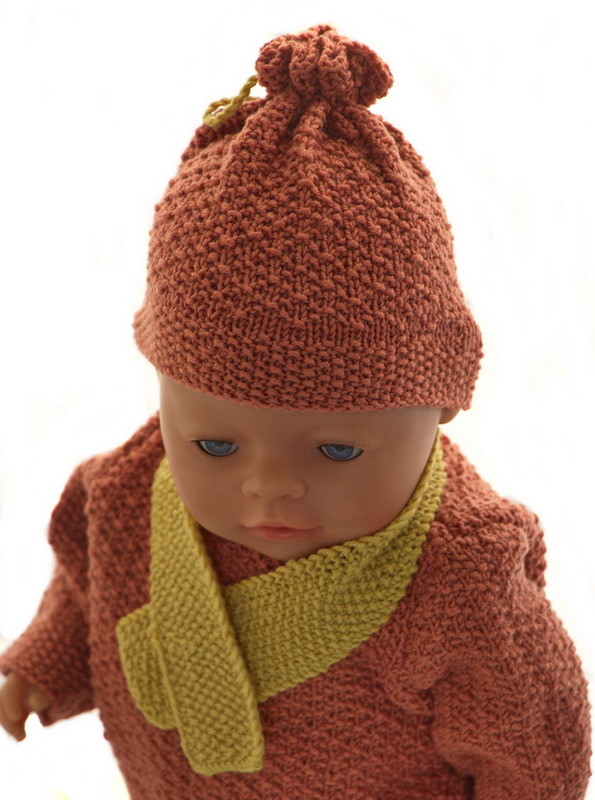 The Scarf is soft and lovely to wear and it is knitted in Moss sts. 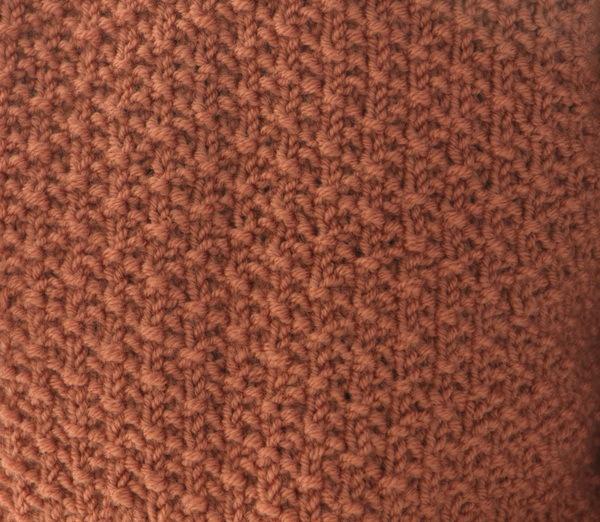 It matches the sweater and cap. 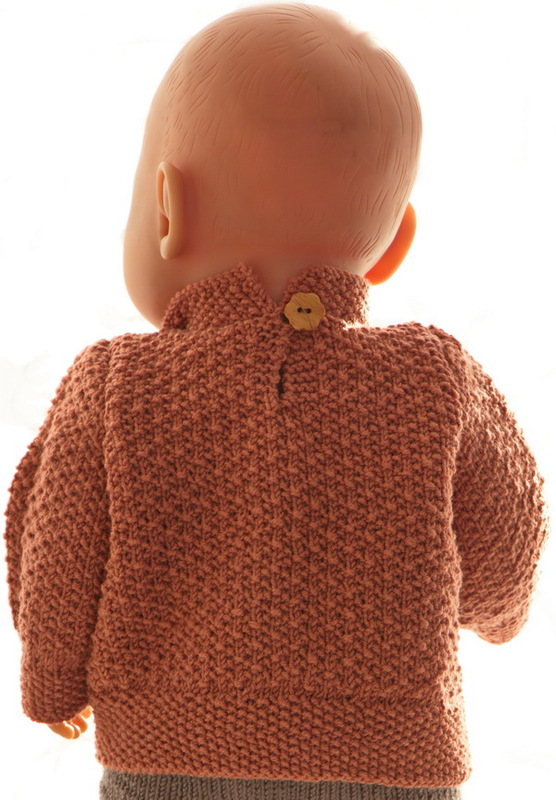 At last I decided to knit a stretch pants in brown for your doll. The pants have straps under the feet. 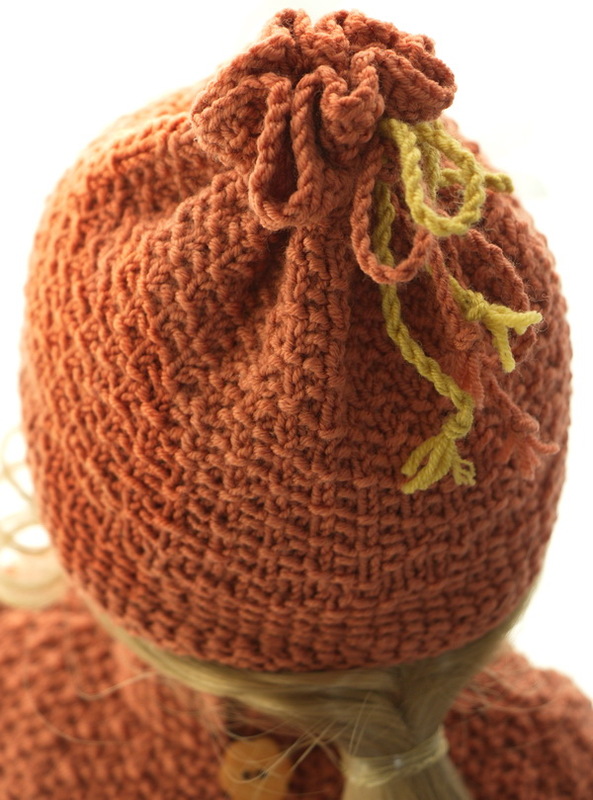 The openings along each side is knitted in moss sts and buttoned. 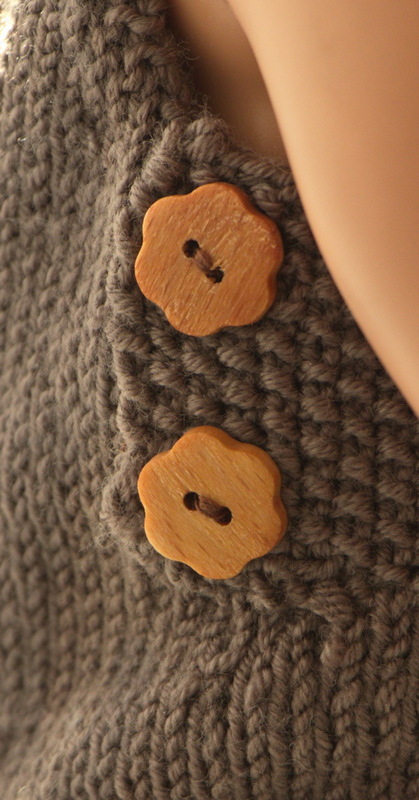 The yoke is kept up with a button on each suspender front. Finally, our doll needed a pair of shoes. 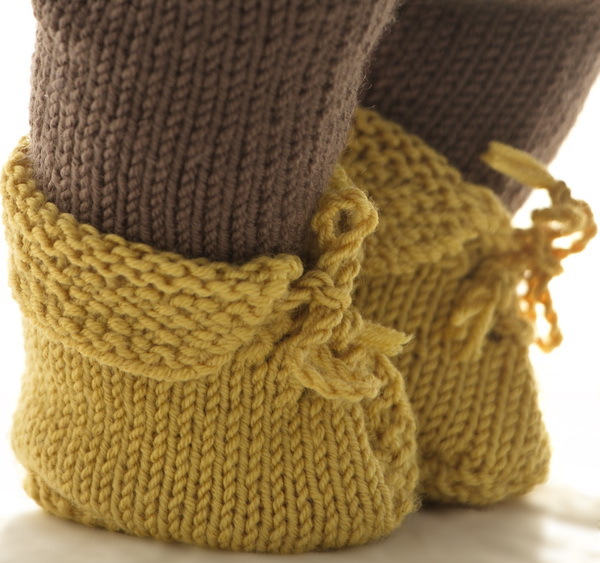 I decided knit a pair of yellow shoes this time. 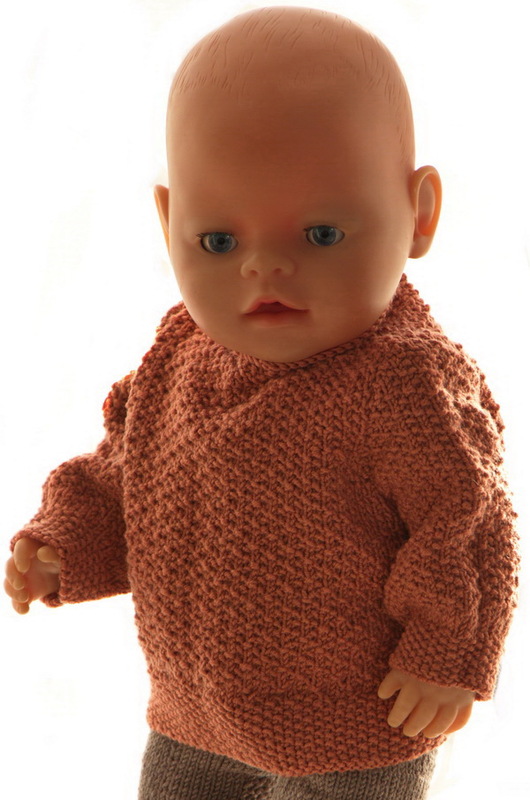 ... this outfit for your doll.